Be sure to email me when ordering with which clan you want. 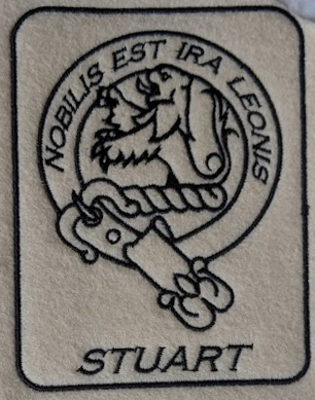 Over the past decade I have been creating embroidery files for all of the Scottish Clans. I have well over 150 files. These are based on the older, traditional one color metal broaches. You can have it on any color background, with or with out the name. Choose the color thread that matches your tartan, or project. The size listed is for the overall rectangle as shown with the name. The rectangle will be a bit smaller if you omit the name. 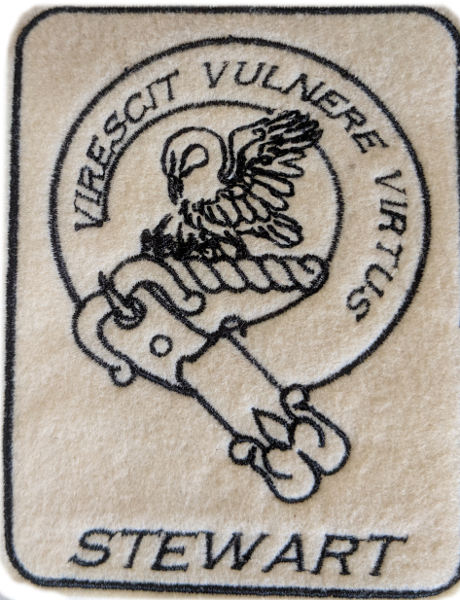 Embroidery files are available. 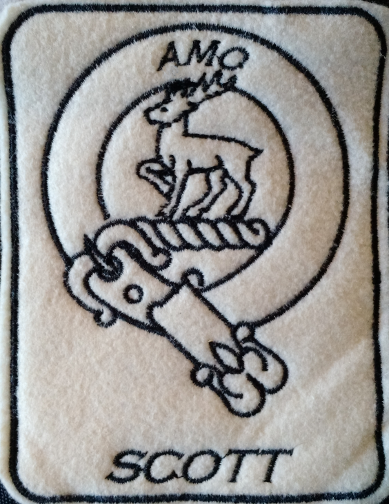 You will find the files are optimized for minimum jump stitches and smooth embroidering. If you don’t see your crest here it is because I am a lot better at getting the patches made than I am at posting pictures of stuff. Just drop me an email, and I will show you what yours looks like. Multi color patches are available on request.